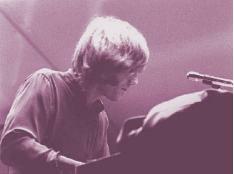 You know about Ray Manzarek and The Doors and what a fine musician Ray was. You can probably hear Ray’s intro to “Light My Fire” right now, if you’ll just listen. And you might have heard what a good man he was—and he was. But I want to tell you something about Ray that you might not know—at least not the way I do. Because I was on Okinawa with Ray, when he spelled his name “Manczarek” with “PFC” (Private First Class) in front of it, and both of us were in the army. And for both of us it was a mistake. I guess you could say that about almost anybody who enlisted in the peacetime army in 1961—a mistake or an avoidance of the draft and the sure-thing infantry. But for Ray and me, it was just a really bad mistake. Here’s why. I joined the army because I wanted to go to the Army Language School in Monterey, California and learn Russian. So that I could read Dostoyevsky in the original. I’ll repeat that. I joined the army so that I could read Dostoyevsky in Russian. And Ray joined because he wanted to study film, the art of the cinema. After one night finding himself in Times Square in New York City and with a few drinks in him he wandered into an Army Recruitment Center. Where the nice recruiting sergeant told Ray that the Army would be a great place to study film. I’ll repeat that. The nice recruiting sergeant told Ray that the army would be a great place to study film. By enlisting with a request for assignment to the Army Signal Corps where they would give him a camera and everything. The nice sergeant didn’t tell Ray that if he actually ended up in the Signal Corps with a nice camera and everything he would spend most of his time filming parades and speeches by bald-headed generals and not some army Ingmar Bergman homage. But the Signal Corps sounded good to Ray in his condition that evening in Times Square, twenty-two years old, just out of college. That’s what he told me. So Ray joined the army so that he could study film. Joining the army was a bad mistake for Ray and me because the army didn’t keep its promise to either of us. And Ray and I found ourselves on Okinawa, which is in the Ryukyu Islands, which is part of Japan, on an army post called Torii Station, which looks out on the East China Sea. With a big antenna field. Ray was not in the Signal Corps with a nice camera and everything, and I hadn’t learned Russian. We were both in the Army Security Agency, later called the Army Intelligence Service for some reason. I had to sign a security clearance that probably bound me to secrecy for life so I can’t tell you exactly what I did there, except to say that I was a spy who wore monster earphones and listened to an outsized radio for nine hours a day and identified every type of transmission that wasn’t Morse Code or the Chinese Top 40. And Ray wasn’t doing anything because he wouldn’t sign a security clearance that would allow him to analyze the intelligence I might have given him by listening to an outsized radio for nine hours a day. Ray told me about his problem with the security clearance and the mistake he made that evening in Times Square while we were sitting at the bar of the NCO club where conversation was easy and essential to what passed for sanity on the island of Okinawa, Torii Station, looking out on the East China Sea. I’m sure that’s where we met. There’s no chance we could have met and talked anywhere else. Not in the mess hall where everybody ate, where the gag reflex would have interfered with the musculature needed for talking and not in the giant Ops Building, a cinder block affair with razor wire and shoot-to-kill guards. Because Ray wasn’t allowed in there; he wouldn’t sign his security clearance. So it must have been at the bar of the NCO Club that Ray told me why he wouldn’t sign. And here I have to speculate for just a moment as to why Ray and I found each other at the bar of the NCO Club and started talking. I think it was simply that Ray was a good man and took pity on a sad-looking, skinny, cipher of a soldier in the spy business who was just sitting at the bar shaking his head. That would have been me. And that’s how I remember my early days at Torii Station in 1962, by the way. Johnny Walker Black was twenty-five cents a shot, and I took nightly and sometimes daily advantage of that solace. So Ray might have moved over a few stools and asked me how I was doing. And just as I knew that I didn’t belong at Torii Station on Okinawa looking out on the East China Sea without my Dostoyevsky—not realizing that by living the absurdity of the army I was living Dostoyevsky—I also knew that Ray didn’t belong there either. Because PFC Raymond Manczarek did not look military. Any military, anytime. With the possible exception of a rogue Cossack in pillage mode. He had very long blondish hair. Not rock ’n’ roll long, but long. And he had a mustache, a handlebar thing that didn’t speak of bicycles built for two or barber shop quartets but rather of criminal motorcycle gangs and Cossacks. PFC Raymond Manczarek was wearing a defiant mustache. After I told my sad story at the bar—wife and baby back home, no Russian, no Dostoyevsky—Ray told me about Times Square and his problem with the security clearance and why he wouldn’t sign it. It was because he was of Polish descent and wanted to be able to visit the old country one day, after he got out of the army he said. And if he signed his security clearance and worked for the Army Security Agency, he wouldn’t ever be allowed to visit Poland. Even after his final discharge from the army. Because Poland was communist and was the enemy, the Enemy! The army must have had its reasons for thinking that way, but it just didn’t seem right to Ray. So he wouldn’t sign. Which made the army really mad at Ray. Yes, Ray was bright and they wanted to use his analytical skills to do the work of the Cold War to defeat the enemies of the United States of America—Poland at the top of the list obviously—and without his security clearance he couldn’t go into the Ops Building and do the work the army had trained him to do. But it was also because the army had spent tens-of-thousands of dollars in getting Ray that security clearance. The FBI, the CIA, The Army Security Agency—later called the Army Intelligence Service for some reason—all of these agencies had been involved in making sure that Raymond Manczarek from Chicago would be a good little soldier and not give our secrets to the enemy, particularly Poland. And now Ray wouldn’t sign. It made the army very angry. So they put PFC Raymond Manczarek in what was called the casual platoon at Torii Station and talked to him frequently, heart-to-heart, trying to get him to change his mind; and it was while he was in that casual platoon that Ray grew his hair long and his mustache full and Cossack. That casual as in casual platoon should probably be explained. It was a place of either transition or stagnation. Soldiers coming in or going out of Torii Station who were waiting for their paperwork to clear and soldiers who, like Ray, presented problems for the army and needed time to think it over. It did not mean casual in the sense of “behave any old way and do whatever you want” even though I think that Ray took it that way. Because one day I was walking down the company street and saw another soldier approaching me, waving. What the hell? Who is that? Who is this guy waving at? So, I turned and looked behind me. No one there. And when I turned back around I had walked even closer to…PFC Ray. No longer the long-hair, no longer the rogue Cossack, Ray had a military haircut and no mustache and was laughing and pointing at me, laughing because I hadn’t recognized him. “It was the company commander,” said Ray. Little did he know. Rock ’n’ roll. Not long after, PFC Raymond Manczarek shipped out to Laos. The army wanted to help Ray change his mind on the matter of his security clearance and thought that the jungles of Laos would be helpful in that regard, would concentrate his mind nicely. It was a sad day for both of us. Ray was my buddy on Okinawa; the army facilitates misery finding company. We would sit at that bar in the NCO club and drink and talk about film and acting—something I ended up doing—and Chicago, Ray’s birthplace and my first big city after leaving a little town in Alabama. We also talked about astrology, which I didn’t believe in, and Alabama and race. I think we came close to an argument about that because at twenty-three I was still defending something I called “the southern way of life” and arguing that my parents and grandparents shouldn’t be faulted for their beliefs. Ray, rightly, didn’t agree. PFC Ray was not a good soldier. The army is marching up and down and not breaking ranks. The army is just filing out of the theater and griping about the absence of credits. Griping some and griping some more. Left face and right face and about face. Left flank march and right flank march and to the rear march. Left shoulder arms and right shoulder arms and port arms and order arms. And you better by-God do what you’re told. That’s an order, soldier. Can you imagine? Rock ’n’ roll. And can you imagine what it would be like to stand up to the man when the man is the goddamn army? And you walk into some piss-ant lieutenant’s office and salute. “PFC Raymond Manczarek reporting as ordered, sir.” And stand there at parade rest and this little tin fucker behind a desk screams at you about your security clearance. “Manczarek, you sign this thing!” “No, sir. I’m sorry, sir.” To me, that’s rock ’n’ roll. That’s messing with the machine and is as much about sacred chaos against profane order as Morrison’s lyrics or his singing or doing whatever he did in Miami. And Ray was so very nice about it, always so very nice—even though Ray would have preferred cool. For months after Ray left Okinawa, he would write me from Laos, unhappy letters, about how the army was really working on him and how he still wouldn’t sign. But finally, after eight or nine months of his resistance, the army granted him a discharge; and I received that good news in a final letter from Laos. But with some other news that disturbed me—good little soldier that I was, wife and baby at home—about a packed duffel bag, of all things. Because Ray had found—almost as soon as he arrived at his new post—that Laos had a good climate and soil and everything necessary for growing a particularly appealing herb. Excellent for flavoring and sweetening cookies and if some fell into a fire, well, damn, it smelled so good. And a person, even a soldier who wouldn’t sign his security clearance, could render it cylindrical, fire it up and make the army go away, for just a sweet little while. And Ray became a botanist, an herbal botanist, and began collecting specimens of this herb and storing them in a duffel bag. He told me about this in his letters to me, the good little soldier, still on Okinawa, wife and baby back home. And I would write him back and tell him to be careful because the army was not known for its interest in botany or an appreciation of this particular herb. But by the time he got his discharge and was ready to go home, Ray, in that final letter, wrote me that he had collected an entire duffel bag full of specimens. He wasn’t sure what he would do with them. Smoking some on a sunny California beach sounded good after the dark jungles of Laos, but he just might sell some, to other botanists, stateside, other collectors. And even though in my letters to him—because I was a good little soldier, wife and baby back home—I warned him against it, Ray sent that duffel bag home anyway, smoked some of its contents on a sunny California beach I’m sure, and then somehow, I don’t know how, found the money to go to film school at UCLA. Where he met Dorothy Fujikawa, the love of his life, and Jim Morrison and The Doors.